A rare bird is one we don’t see very often. However, that doesn’t mean that the bird species in question is necessarily endangered. For example, in Costa Rica, we have Eastern Phoebe on the list because one lone, very lost (or extremely adventurous) individual took a really big detour at Pismo Beach instead of making a short flight to wintering grounds much closer to home. It ended up on Cocos Island and since that eastern Pacific isle is in Costa Rican territory, Eastern Phoebe is on the list. The same thing happened for Gray-hooded Gull, White-cheeked Pintail, and Red-tailed Tropicbird. None of these are rare in their normal haunts but seeing them in Costa Rica would be a major birding event. The same goes for some bird species commonly encountered by many an American and Canadian birder. Lincoln’s Sparrow for example. Oh, how that would be a nice year bird. Heck, I still need it for my country list along with other “super rare” sparrows like Lark Sparrow, the needle in a sugarcane field Clay-colored Sparrow, and the extremely elusive Chipping Sparrow. Yep, as silly as it sounds, those are a few of the rare birds I would chase in Costa Rica! Sparrows seem to have an aversion to humid tropical regions, at least as far south as Costa Rica, and the same can be said for Least Flycatcher, some ducks, and Warbling Vireo. 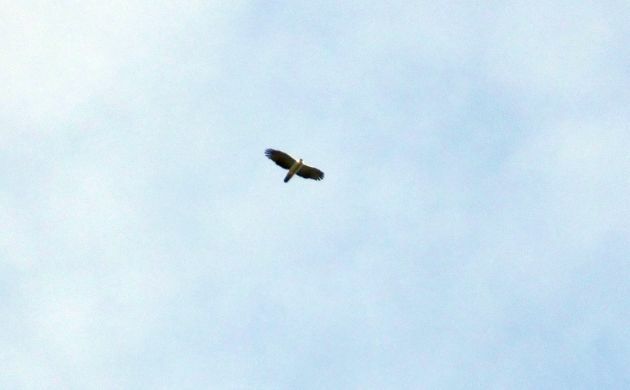 These latter two birds really show why “rarity” can truly depend on where you happen to be birding. 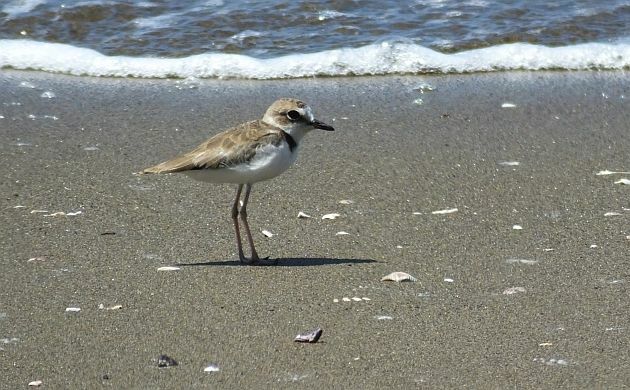 While the Collared Plover is a super rare vagrant in Texas, it’s far easier to see this resident shorebird in Costa Rica than a Warbling Vireo. Most of the wood-warblers that winter in the Caribbean are also much wanted vagrants for my Costa Rica list. Palm, Black-throated Blue, Prairie, and Cape May occur in very small numbers each year but finding them is like winning the lottery. The best way to find them is by birding the Caribbean coast during migration and checking banana dumps. Akin to sewage farms, garbage dumps, and other weird places where we go birding, the places where banana farms dump rotting fruit and other organic waste can attract vagrant wood-warblers and other small insectivores. Back at the coast, we could also get lucky with three other Caribbean vagrants; White-crowned Pigeon, Gray Kingbird, and Black-whiskered Vireo. Then there are the El Nino birds. These are the ones that should be enjoying fish in the cold waters of the Humboldt Current but wander up to Costa Rica because the poor things are starving. Three of the main candidates are Waved Albatross, Peruvian Booby, and Inca Tern. All have been seen this year, but once again, finding them requires a lot of effort. I have tried a couple of times for these major country ticks but no avian cigar for me yet. 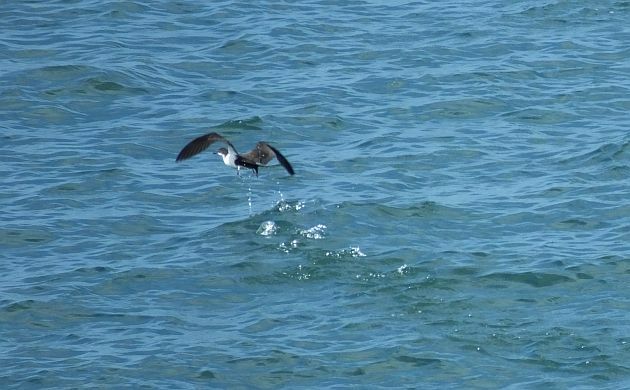 At least looking for them can result in encounters with Galapagos Shearwater, storm-petrels, and other pelagic species. The tendency for migrants to be rarities doesn’t exclude birds that breed in the country, Harpy and Crested Eagles perching at the top of the rare resident target list. Naturally rare in intact forest, these monster eagles are far more difficult after the forest shrinks into patches. In Costa Rica, the Crested is still seen on occasion but the country population could be as low as 20, while the Harpy hasn’t been officially documented since 2010, and probably doesn’t have a population higher than 12 birds. Those numbers are just guesses but that’s my bet given the amount of intact habitat, sightings, and territory size for these species in Panama. Black, and Ornate Hawk-Eagles are regular but the Black-and-white Hawk-Eagle is pretty rare. This is a Black-and-white from a remote site near the border with Panama. Other resident species that seem to be nearly as tough to see as the largest eagles are Red-throated Caracara (seen on occasion in a few spots), Tawny-faced Quail (hardly ever seen but present in a few areas), Speckled Mourner, and Gray-headed Piprites. The mourner is very rarely seen, and might be most reliable at one site near Luna Lodge in the Osa Peninsula. It has probably declined from deforestation of its preferred habitat, lowland primary rainforest along streams and rivers in flat areas. As for the piprites, no one knows what’s going on with that one! Unobtrusive behavior doesn’t help but even so, it seems to only be heard or seen in large areas of high quality forest in the lowlands and foothills of the Caribbean slope. Other truly rare resident species include Spotted Rail, Violaceous Quail-Dove, Great Jacamar, Rufous-vented Ground-Cuckoo, Black-banded Woodcreeper, and Lovely Cotinga. I hope I get lucky with one or two of these before the end of the year. 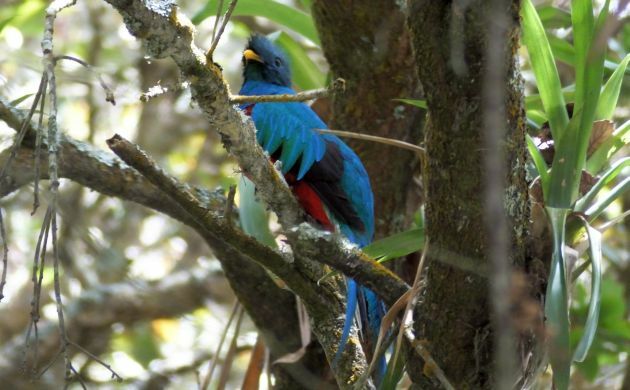 No, no mention of Resplendent Quetzal because it’s much easier to see than the other bird species mentioned in this post! Who Wants To See a Greater Prairie Chicken? Week 15: The Darwin area has some great birds, and Crocodiles!